Traverse City is touted as an outdoor playground, but don’t be fooled—this bayside town has got big-city entertainment without sacrificing a personal, one-of-a-kind feel. Get your cultural fix relaxing in front of the State Theatre’s big screen or attending a jazz performace at Milliken Auditorium. Reopened in 2007 after being shuttered since 1991, downtown Traverse City’s historic State Theatre has a story almost as dramatic as the art-house films it’s known for today. In early 2005, Michigan native and adopted Traverse City hero, Michael Moore, spearheaded an effort to renovate the old movie palace, and the community responded by donating hundreds of thousands of dollars and almost as many in-kind volunteer hours. Today, the volunteer-run, state-of-the art State is again a full-service theater, boasting an unmatched lineup of indie films, tons of special events, and even 25-cent classic and children’s matinees. (Worth a visit just to see the replica of a summer night’s stars twinkling from the ceiling; and the seats: cushy!) Every summer, it’s also ground zero for the renowned Traverse City Film Festival. 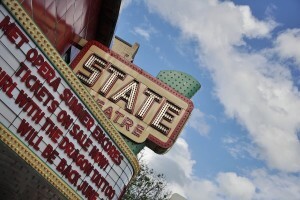 statetheatretc.org. The City Opera House of Traverse City, a turn-of-the-century opera house, once hosted vaudville shows and live circuses. Today, this gem located on Front Street, right downtown, has undergone a spectacular renovation and is packed with modern-day people attending music concerts, dance nights, educational events, private receptions and so much more. (231) 941-8082 cityoperahouse.org. Check out more Northern Michigan videos. Since the Beach Bums played their first-ever game at Wuerfel Park seven years ago, the Frontier League ball club has become a beloved part of Traverse City’s summertime traditions. Reasonable ticket prices, between-inning kids games, giveaways, fireworks, and a pair of hilarious mascot bears—Suntan and Sunburn—make this a perfect family-friendly outing. If you have a larger group, ask about renting the “Party Patio” along the first-base line; for a sweet date, there’s nothing more romantic than taking advantage of Wuerfel Park’s laid-back outfield lawn seating. Spread a blanket and bring a jacket for the late innings, and make it your own field of dreams. 231.943.0100, traversecitybeachbums.com. For decades, Milliken Auditorium has quietly reigned as one of the region’s most exemplary cultural centers. Tucked away among the trees on the west end of Northwestern Michigan College, Milliken has become renowned for its annual concert series, which specializes in jazz, blues and world music. At just 367 seats, it’s an intimate space with a huge sound—one of the best acoustic spaces in the area. The attached Dennos Museum Center often plays host to after-parties, so don’t miss a chance to mingle with the touring musicians post-performance, or take in an exhibit after hours. 231.995.1055, dennosmuseum.org. With more than 1,000 slot machines and all the traditional Vegas-style table games—blackjack, craps, roulette, poker and more—this 56,000-square-foot, 24/7 casino will keep you playing. Beyond the casino floor, however, there’s even more to love: The Level 3 Lounge hosts live and DJ’d music throughout the year, and fans of stand-up won’t want to miss the weekly comedy series on Thursday nights. Other amenities include a hotel with elegantly appointed rooms and suites, four restaurants, ranging from a steakhouse to a ’50s-inspired diner, and enviro-details like eco-friendly slot machines and a 2,400-square-foot green roof. 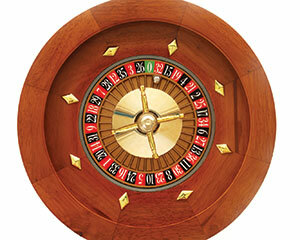 800.922.2WIN, TURTLECREEKCASINO.COM.